Our instructional projects engage students in sustainability topics while developing valuable career skills. Curriculum is aligned with Common Core, California Career Technical Education, and Next Generation Science Standards. Choose from career technical courses, sustainability certificates, project-based learning units, and sustainability guides. SEI curriculum is free for California high school teachers. Visit Energize Schools to learn more. The Energize Schools Green Careers Conferences are a place for high school students to explore career pathways within the environmental sector. Professionals join students in their community to talk about how they arrived in their current position and what their job entails and offer real feedback on the environmental issues they are supporting. Students also present on classroom and community projects they are working on to protect our planet. 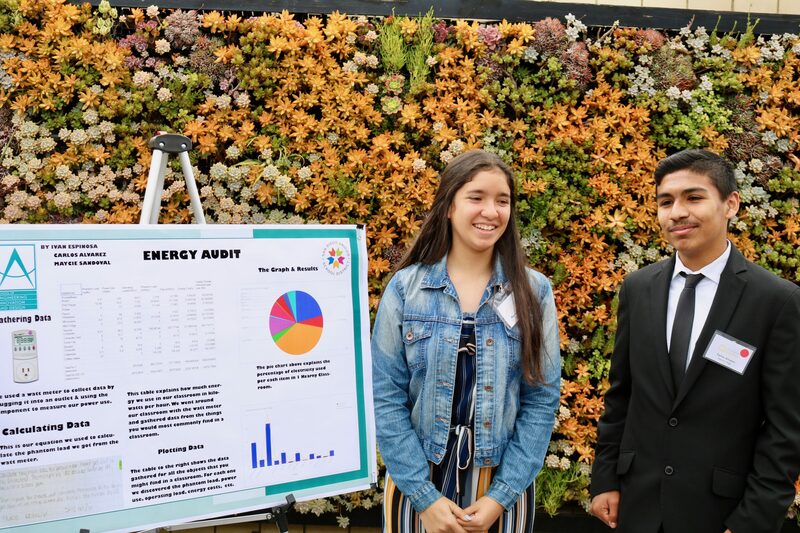 SEI hosts an annual Earth Day Competition to help schools design and implement campaigns that change sustainability behavior on campus and an Energy Conservation Competition where schools compete to see who can save the most electricity. SEI also supports campus green teams that make a difference in their communities using Energize Schools’ conservation ideas and project management tools. Visit Energize Schools to learn more. Climate Corps is a professional development program that places fellows at organizations or educational institutions to implement climate change resiliency projects. 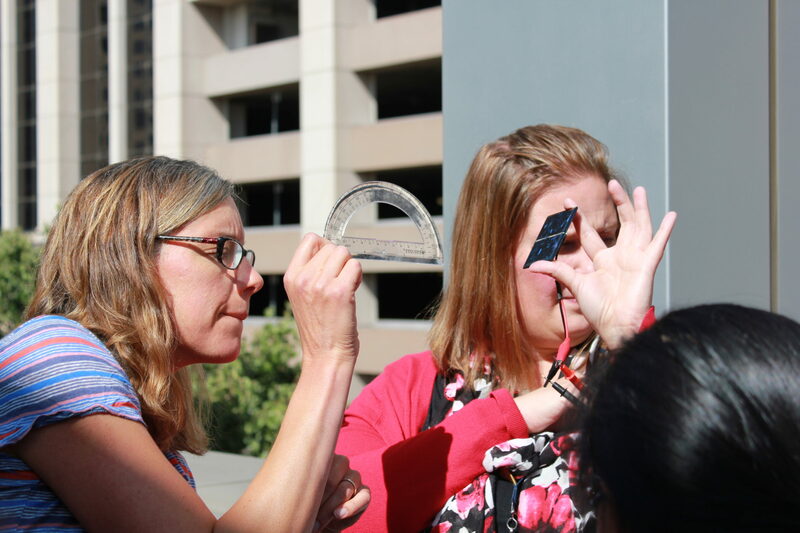 Fellows placed in K-12 schools have implemented Safe Routes to School programs, developed sustainability/climate protection curriculum, led K-12 green teams to implement “green” practices, and audited water and energy use. Visit Climate Corps to learn more. The School of Environmental Leadership (SEL) is a project-based, environmentally-focused program that emphasizes leadership development and the “Four Cs”: Collaboration, Communication, Critical Thinking, and Creativity. The four-year high school program empowers students to increase ownership of their educational experience and actively apply 21st century skills to drive environmental solutions. If you are interested in bringing SEL to your school or district, email info@TheSEL.org.